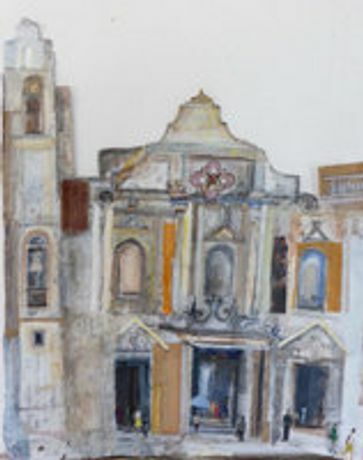 Emmie van Biervliet is best known for her paintings inspired by her extensive travels. Using mixed media and collage, Emmie creates detailed and textured studies of buildings, observing the intricate tangles of doorways, windows and the inhabitants inside. This year however, she’s looking a little closer to home. ‘I have been thinking about being drawn to looking through doors and windows, discovering those creative labyrinths, which is what Artweeks is all about,’ she explains. Bee Bartlett, is also influenced by her travels, as well as being inspired by her home-town of Oxford. At the end of 2014, she took a few weeks off to explore Southern France, travelling in to Catalonia in Northern Spain. 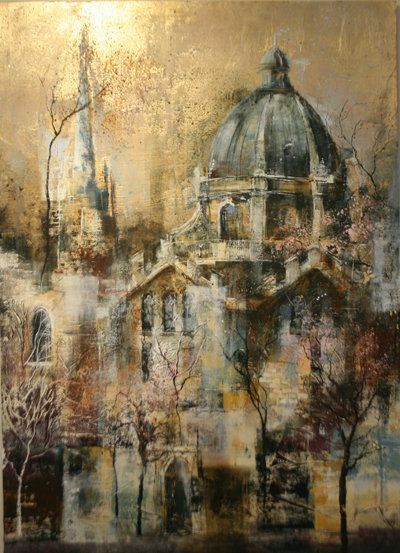 Bee’s typical style is expressive, using experimental marks and textures, incorporating materials like silver leaf and collage to build atmosphere and reflective light. 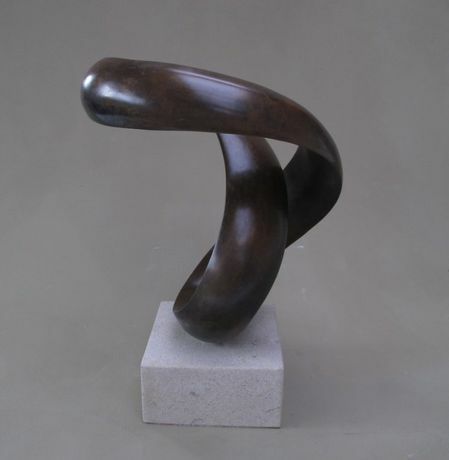 Richard Fox works in bronze, stone and British native hardwoods, with sycamore being a favourite. His sculptures in wood are fluid, often taking coiling or ribbon-like forms, and can be rotated by hand, allowing the viewer a direct and physical connection with the artwork, choosing the perspective from which to view it. Richard lives and works in Oxfordshire and he has been showing work nationally and internationally since 2008.